Fourth of July is just around the corner. Got your plan to celebrate on this day yet? Let us show you how to have fun creatively on this national day by making unique parody voices to surprise your friends and family. In term of making parody voices, you're recommended to have a good voice changer software. Voice changer not only changes your voice, but also help you mimic someone else's voice effectively. First of all, this program owns a cutting-edge voice morphing technology, which can precisely manipulate the user's voice at ease. You can change easily your timbre and pitch - the most important parameters of a human's voice using the parabolic displayed graph straight away on the main panel. 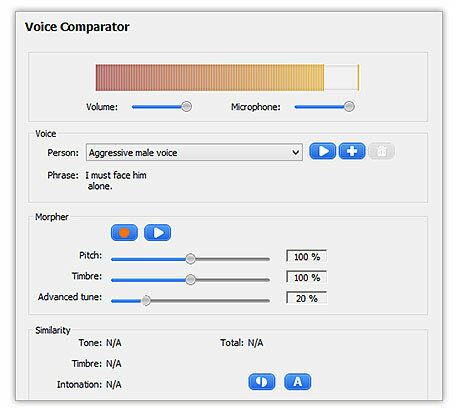 Especially, voice changer software includes an interesting and useful Voice Comparator that helps you create parody voice easily thanks to its outstanding ability to compare the similarity between how you sound and the target voice input. Its morphing suggestions will change your voice completely in seconds. You can see how voice changer software works to create President Obama's parody voice, or the voice of famous celebrities. Change voice in one-click with "nickvoices"
Let's make Fourth of July spectacular!